Image credit & copyright: Adam Block/Mt. Lemmon Sky Center. Roughly 500 light years away in the northern constellation Taurus “The Bull” is this incredible reflection nebula cataloged as Sharpless 2-239, which itself is imbedded in the Taurus Molecular Cloud. What we’re actually looking at here is a group of newborn stars roaring into life; particularly IRS5 or HH154, a newborn binary pair that’s making the biggest splash here in this image. As its jets impact the surrounding star forming hydrogen material warms and illuminates that region. Name: Sharpless 2-239, Sh 2-239. What is it? : Stellar birth. How far away is it? : About 500 light years. Where is it? (Exact RA/Dec J2000): RA 04h 31m 18s / Dec +18° 06′ 00″. 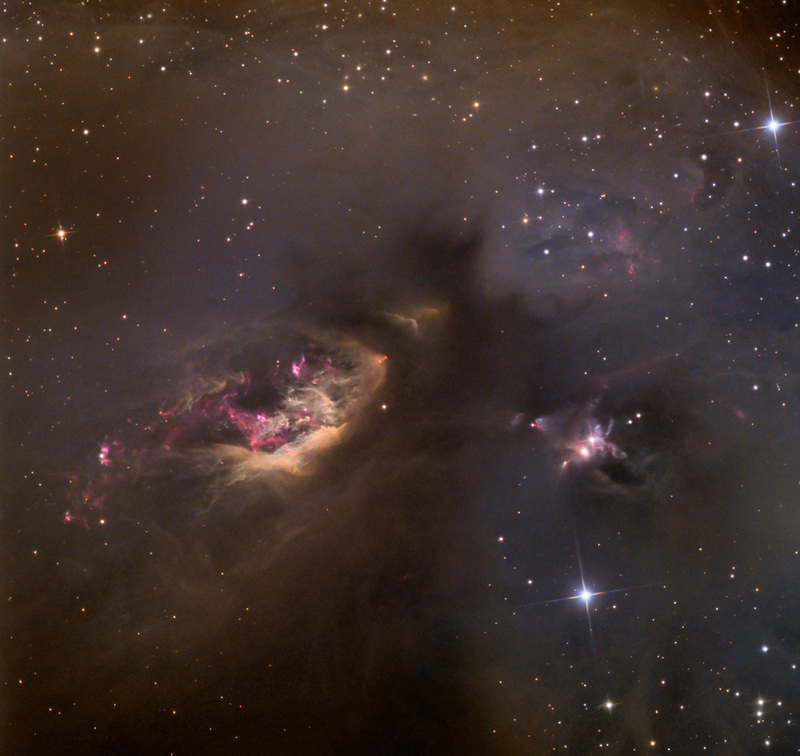 Image | This entry was posted in Astronomy (Learning), Astrophotography (DSOs), Images, Nebula (Emission, Reflection), Stars (Non-Sun Related) and tagged Adam Block, Astronomy, Astrophotography, Mt Lemmon SkyCenter, Science, Space, Star, Stars, Taurus. Bookmark the permalink.